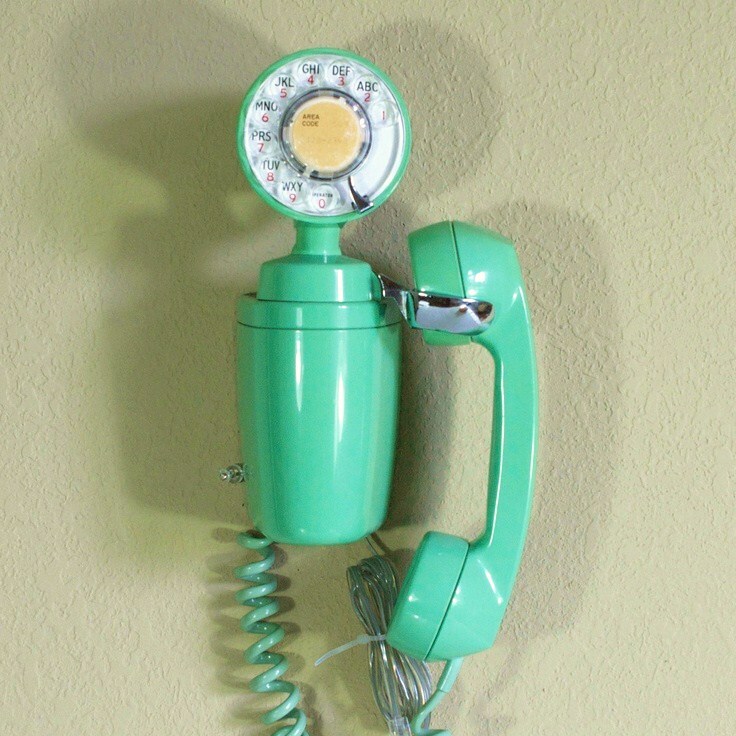 Okay, that really is not a turquoise telephone. That is more of a baby blue rotary desk phone from 1959. Yet, it still has lots of curb appeal. 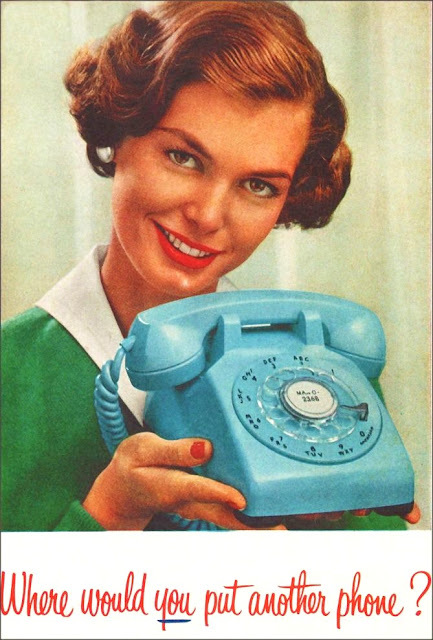 I prefer the turquoise color phones. Now that is a turquoise phone! And one that I have never seen in person. The first one I encounter, will come home with me when I do! I saw that sweet little phone @ Pinterest. And follow the image back to its original link here... where they had more than one of these space saver phones for sale. Did I mention they also had one in pink? I am going to need to find one of these. 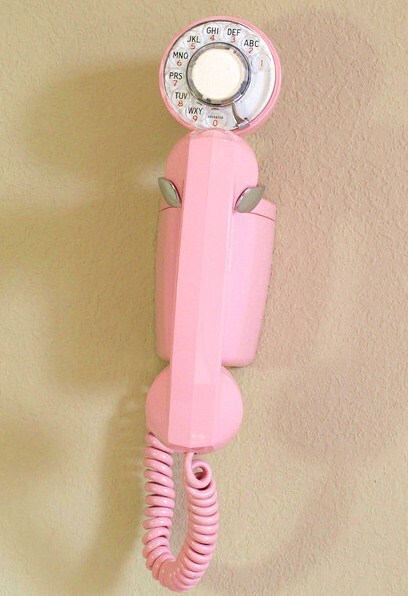 I can see this gorgeous pink phone, hanging in my kitchen! This would be the perfect phone, for the mid century kitchen. image from here... and currently for sale! That is the space saver telephone with the square base. And in really decent condition too. image from here... and looking for a new home! I suspect that this base is made of metal. This is when phones were meant to last a life time. So it is going to be a solid piece of mid century goodness!